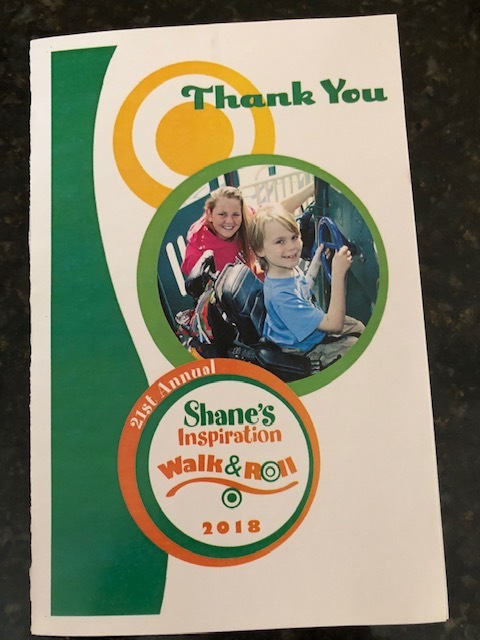 On behalf of everyone here at Shane’s Inspiration, especially the children we serve, thank you to everyone at NorthStar Moving Co. for your help with our 21st Annual Run, Walk & Roll. Your crew was Awesome!! Jorge was great about communicating with us both days and the team was super helpful setting up and breaking down our event. When they packed our event supplies into the truck, we laughed because what took them 20 minutes usually takes us 2 hours!! 4 New Inclusive Playgrounds, in Davenport , IA, Lewiston, ME, Glendale, CA and Malibu, CA, bringing our total to 72! Project Development in New York, Ecuador, Armenia and South Africa!! Worldwide Expansion of the Together, We Are Able Education Program! And most importantly……Children across the globe will experience the multitude of life changing gifts brought through the Magic of Play! 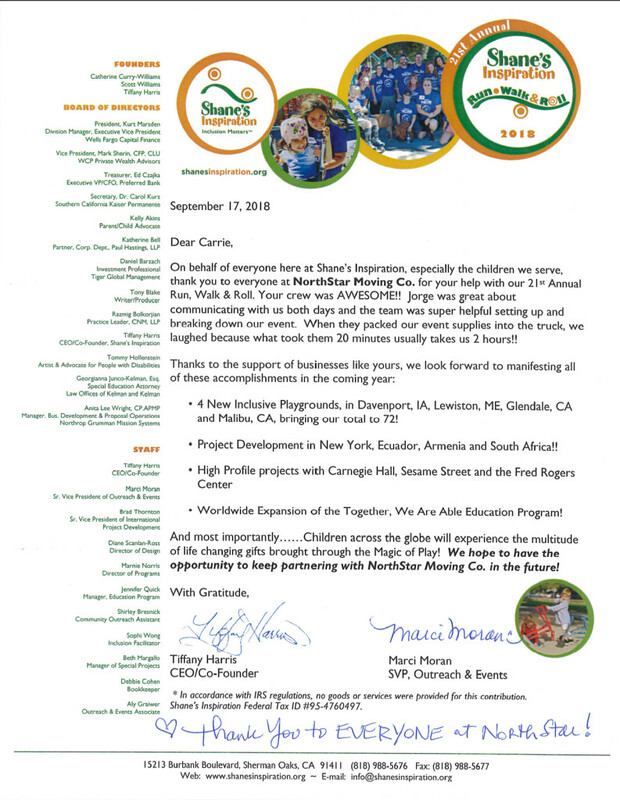 We hope to have the opportunity to keep partnering with NorthStar Moving Co. in the future! 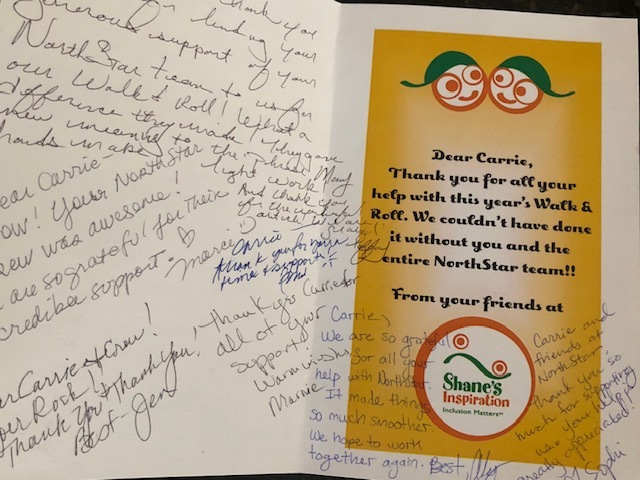 Thank You to EVERYONE at NorthStar!